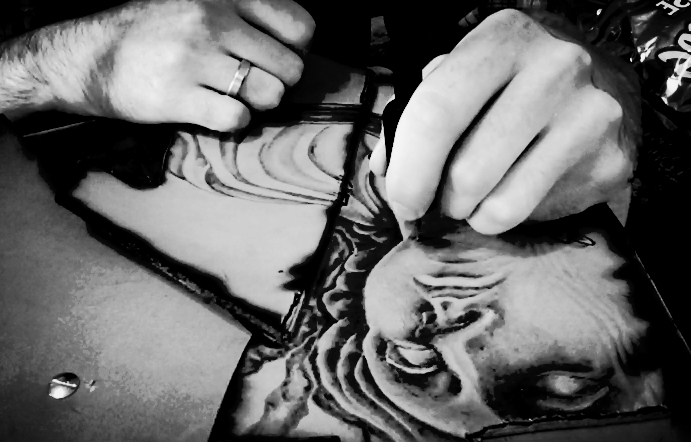 "Writing with fire" - pyrography is the intricate art of burning on wood, leather, and even bone. After years of honing this skill, we love to integrate this artform into our products whenever possible. We welcome all inquiries regarding custom work and are here to make the process as seemless as possible. For examples of our pyrography work, please see the individual photos below. You can also check out our Burned Patch Belts in the shop, or contact us HERE if you've got something specific in mind. Whether it's a guitar strap, a guitar body, or simply a stunning display piece (large or small), we can help you make a truly unique statement.